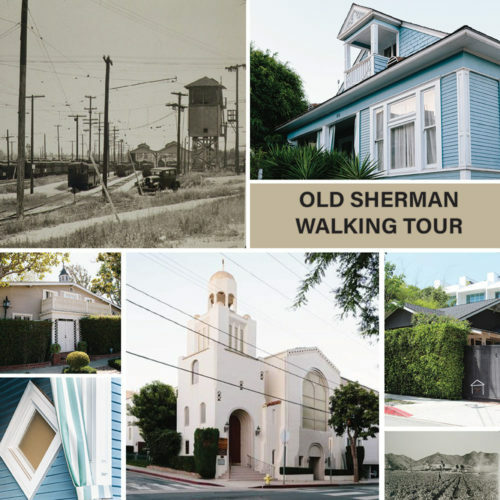 Welcome to the City of West Hollywood’s Historic Walking Tour Website! Since 1984 the City has recognized the importance of preserving its cultural and historic resources. West Hollywood has over eighty designated historic and cultural resources, including six historic districts. These historical sites give West Hollywood its special character and enrich its cultural depth. They also give us a peek into the history of our beautiful community and how it evolved into the city we know today. Choose from one of the buttons down below to explore one of our easy and walkable tours! 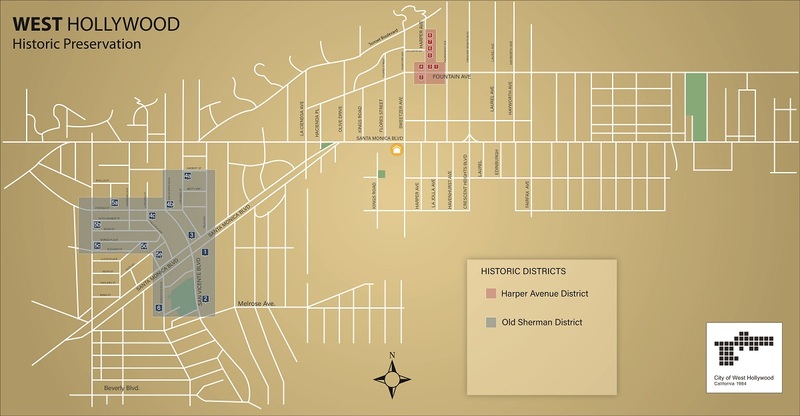 On this page you will find tours for two of our six historic districts, the Harper Avenue District and the Old Sherman Thematic District. Below you can see where these two districts are located within the City of West Hollywood.